I just opened the Reo Echo issue for Nov/Dec which I received yesterday from Bill Reed. In the last page, the pic of the 8-52 at the Reo meet! What a car! I would have loved to be at the show to take good pics of interior and engine details, as judging from this pic, it is a very original or unmolested car. It mentions it is a 1931 model, but I think I read that the 8-52 was a new offering for 1932. 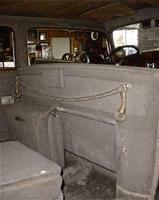 It would appear from the pic that it is a 7 passenger sedan, as I can see no window for a closed chauffer limousine, but perhaps anybody who saw it at the show could verify this information. $9250.00 is Duesenberg money! Well at least Duesenberg chassis money . Well I found out some sad news today about a 8 - 52 Royale that was located in Rochester , New York . It seems some Reo members saw this car back in the 1960's in a car scrap yard . A Sandy Van Allen ran the yard and paid the owner for the Royale . He drove it into yard and parked beside 3 Franklins . He would not sell it to anyone and let it rot into the ground . When he died his son hired a metal shredder and shredded all the cars that where there along with other makes . So I guess the 8 - 52 that went to Lansing in 2014 is the only intact 8 - 52 out there at this time . Here are some pictures of the only known 8-52. 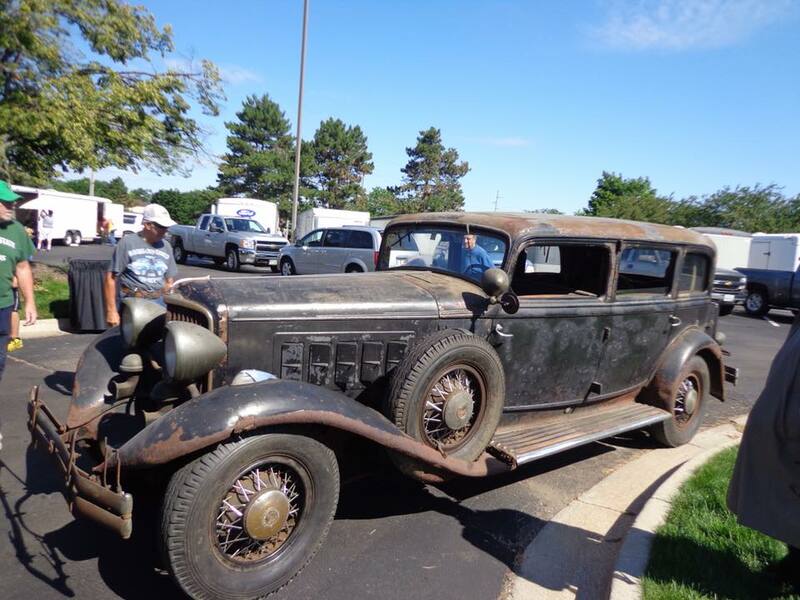 This Reo Royale from 1931 - "From the CCCA forum (I believe it was there but I could be mistaken) the following car was posted. It apparently did government service in Finland and now it surfaced in need of complete restoration." - was used by the prime minister of Finland during 1930´s. After that the Reo was used on railroad and was equipped with proper axles. Then the car was scapped. The body was saved from scap yard and was owned by several old car enthusiasts. Now the body is owned by Mr. Timo Mäkinen in Kokkola. He is seeking for spare part Reo to rebuild the car. At the same year - 1931 - another Reo Royale was imported to Finland. I believe this is a normal sedan. This car was used by police officials in Vyborg - now part of Russia. This Reo still exists and I believe it is owned by Mr. Clas Palmberg. Few month ago I heard another Reo Royale from 1935. This Reo was importen in 1930´s and is still owned by original family owners and I think the car is somewhere in Lappeenranta area. I have some photos of that Royale. Today I heard from Mr. Mäkinen that there is one long wheelbase Royale which was imported few years ago. Maybe I should try to find more information about these different Royales in our country. Then I wonder how many Royales have been imposted to different European countries. Is there any production information about Royales? How do I ad photos to this forum? Photos and history of the European cars would be great. To my knowlege there are no known production records. We have been trying to tabulate all known cars and I'm not sure many or any of the European cars have been captured. To post pictures use the "reply" button in the upper right corner of the screen. You will then see "add attachment" which will allow you to post up to 3 pictures of no more than 1 Mb total per post. So the pictures cannot be too big. If you have trouble pm me your email and I can post them for you. I always thought this was a Murray built 152. But looking closely I believe it is coachbuilt. Notice where body ends over axle, and compare rear door to factory car posted above. Also, those are Dietrich door handles.